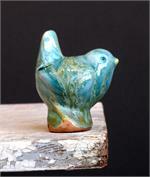 This shape, new to the web, is our small wren. It is stylized and cheerful. 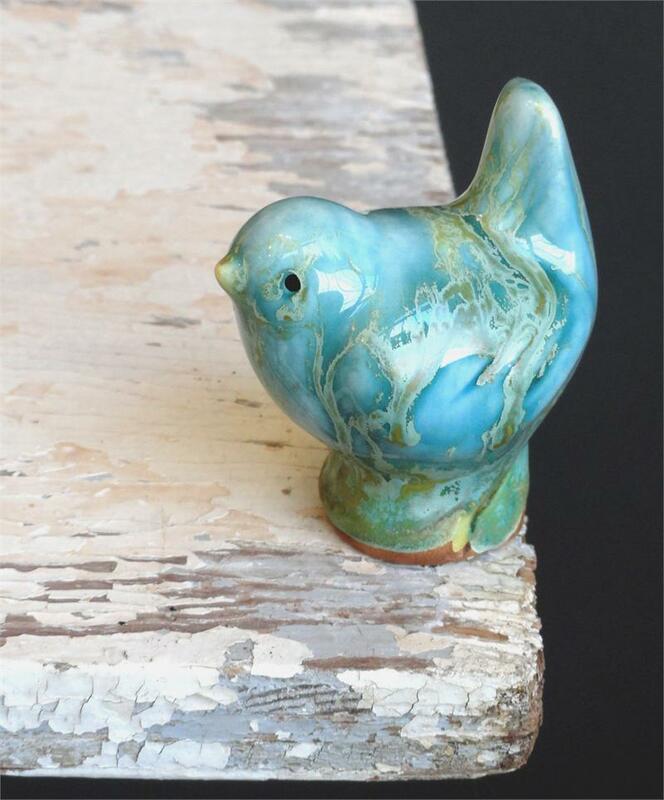 This bird is glazed in a transparent frosted aqua that we call mermaid blue.